A plastic divot repairer with strong magnet. Hit a hole in one for your promotion with some of these divot repairer with markers. 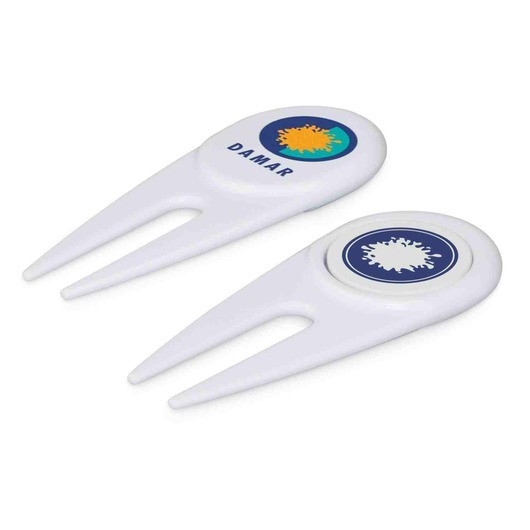 Guaranteed to increase your brand awareness these are a plastic divot repairer with a metal golf ball marker held securely in place with a strong magnet.